Looking for something different this Mardi Gras season?!? 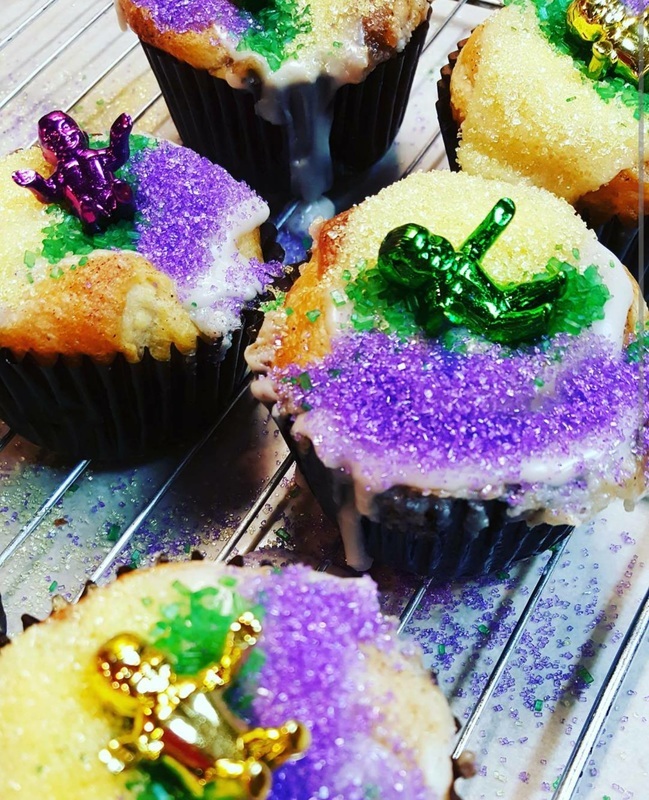 Try our Cake Bite King Cake! 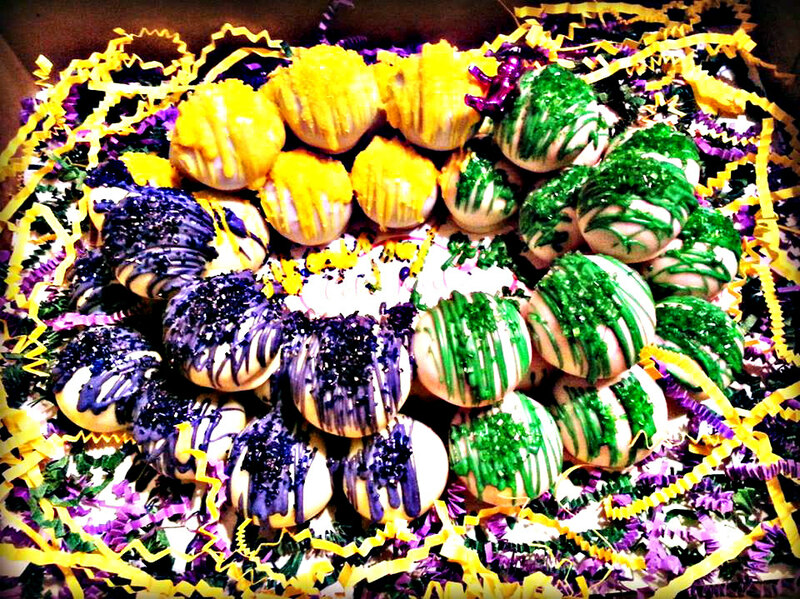 We've added a unique twist to the traditional King Cake by forming 3 1/2 dozen of our Cake Bites into the shape of a King Cake! This is the perfect pull-apart King Cake Treat for all of your Carnival Festivities! Traditional Style King Cake packed with Brown Sugar, Cinnamon Sugar and Cream Cheese, topped with more Cinnamon Sugar, traditional King Cake frosting and a BABY! 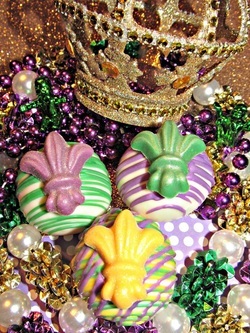 All King Cake Boxes are an assortment of our King Cake Flavors decorated in a Mardi Gras theme! 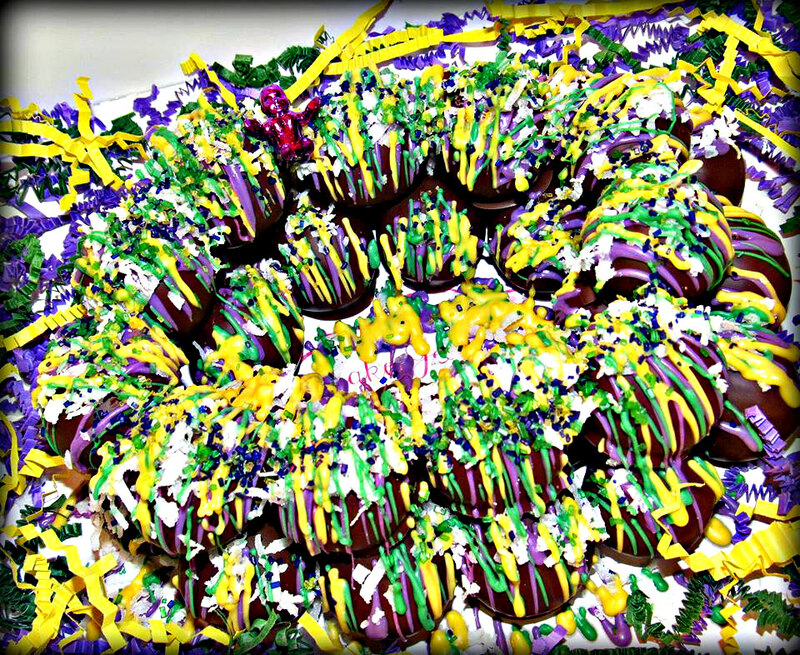 Traditional Flavor King Cake, Cream Cheese Icing topped with poured fondant and Mardi Gras colored sprinkles! Pink Wedding Cake, Buttercream, Cinnamon Sugar!